A-Ku-Pu Complex malayalam movie directed by V K Prakash will be a satire which features Indrajith in lead. This unusual title A-Ku-Pu Complex is the abbreviation of three Malayalam words asooya, kushumbu and pucham. It is known that this movie would be a satire which would tickle the funny bones of the viewers. Indrajith will play an important role and an aspiring bureaucrat. This movie is expected to go on floor in November 2013. Strange movie titles are now becoming usual in malayalam film industry. Ni Ko Njaa Cha (Ninneyum Kollum Njaanum Chavum), ABCD (American-Born Confused Desi), Kili Poyi, Netholi Oru Cheriya Meenala, Otta Oruthiyum Sariyalla are some of the strange names which were used in the recent past. Adding one more to the line of crazy titled, comes A-Ku-Pu Complex directed by V K Prakash. This unusual title A-Ku-Pu Complex is the abbreviation of three Malayalam words asooya, kushumbu and pucham. It is known that this movie would be a satire which would tickle the funny bones of the viewers. More interestingly, the script of the movie is done by two IAS officers K Ampady and N Prasanth. 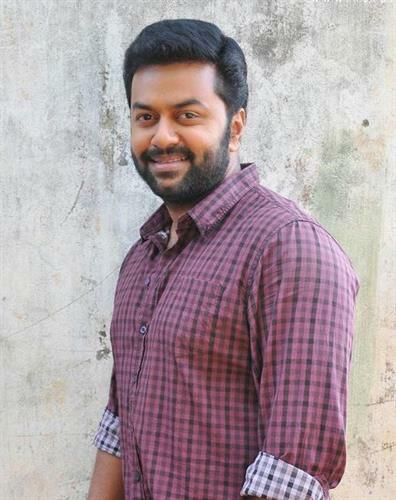 Indrajith will play the prominent role and an aspiring bureaucrat. He represents the character of a typical malayali youth who is who is pessimistic about everyone and everything. The other actors of the movie will be decided soon while it is known that it will have an ensemble cast. Reading out from the title, A-Ku-Pu Complex will be an experimental movie having elements of asooya, kushumbu or pucham, the three characteristics which can be taken as the fundamental Malayali particle. As the nature of every malayali having an aggressive nature and the tendency to question any efforts at development, a scientist would discover the malayali particle which will be characterized by a popular actor. A-Ku-Pu Complex is being inspired from the cult film Panchavadippalam which was tagged as a contemporary satire. The name used in the movie too has the similar characters which do have some similarity in names as with in Panchavadippalam. Names like Anasooya, Vatsayanan, Don Quixote remembers us about those used in Panchavadippalam, which was released decades ago. Anasooya is a representation of a person who is full of jealousy. Prasanth and Ampady, the brain behind the movie has given full justice to the script. Ampady who had scripted for a movie directed by Suresh Unnithan will be releasing soon. The duo is thinking about more projects which are on the way. The current theme has been inspired from the experiences Ampady and N Prasanth had in bureaucracy. The shooting of the movie is expected to start in November as V K Prakash and Indrajith do complete their pending works.